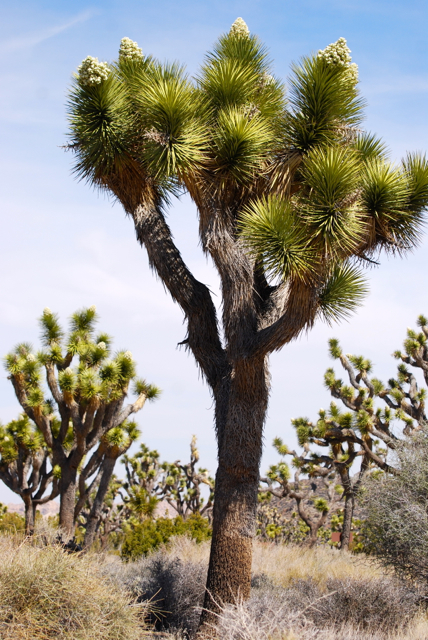 I've visited Joshua Tree National Park at least a half a dozen times, but have never seen the Dr. Seuss-like trees in bloom until this trip, which coincidently, is for my birthday. 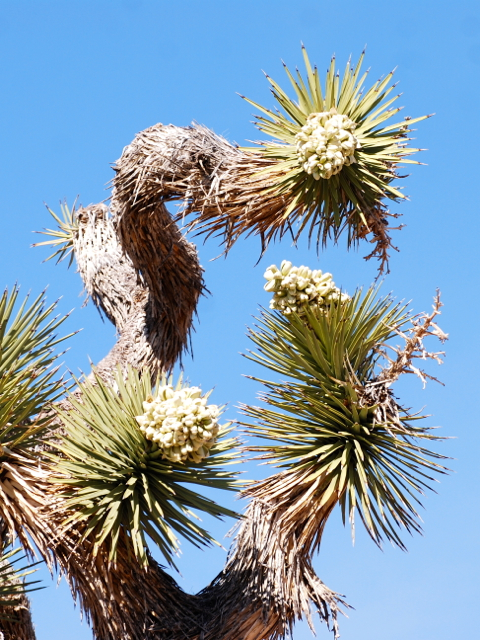 What a wonderful birthday gift from nature, being able to see the Joshua Trees adorned with the beautiful jewelry of their white flowers. Since we were traveling from the Salton Sea, we arrived from the south (and I highly recommend taking Box Canyon Road if you do the same--a sublime drive) and were able to drive through the entire park our first night, and watch the trees slowly emerge on the landscape, one or two at a time, then suddenly hundreds and hundreds burst into view as you head north. 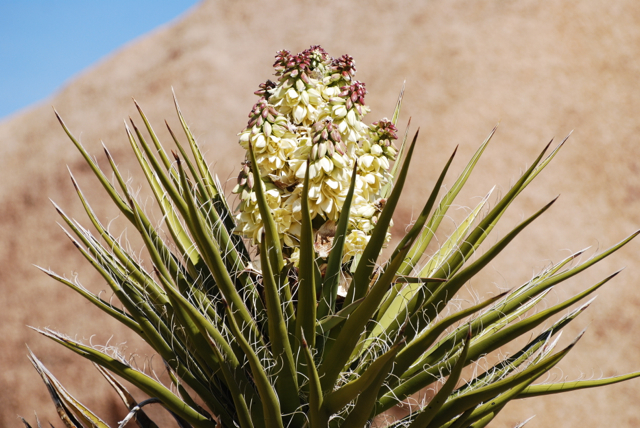 The next day we hiked in Black Rock Canyon, a quiet corner of the park, and cherished the blossoms from the trail.